I'm 27, and happily married to a pretty girl named Melissa with a little boy named Elijah. From the Shenandoah Valley, currently hanging out in Richmond, VA. I love exploring the wild places around the area. I write two blogs; Mountain Ramblings is about my personal explorations in the mountains and valleys that I live around. In Mountain Rescue Blog, I write about issues faced by rescuers in mountain environments both locally and around the world. Be warned; the deer are out to get you. I know how cute they are; after all, they call them “Doe Eyes” for a reason. Those fuzzy, innocent looking critters grazing passively on hillsides and road shoulders, or frolicking majestically through fields look like they could not be any less sinister. And, in a triumph of the animal ability to adapt, we have a ton of deer in this area. But, behind the frolicking and the doe eyes lurks a deep antipathy towards mankind and our vehicles. Or maybe they’re just dumb. That’s more likely. I don’t know. One way or another, we ended up having a close encounter with the deer kind while driving on a back road near our home. The road passed through a tunnel of cornfields, and the deer popped out into the road less than ten feet ahead of us. I didn’t have time to brake. I barely had time to register the fact that the deer was there. I did have time to cuss. First impression: not great, but it could have been way worse. The hood was crumpled, the grill was pressed in, I could see that the radiator was deformed, and I could smell coolant. On the other hand, the van was still running, no warning or indicator lights were on, and all the gauges were good. I was able to limp most of the way back home before the engine overheated due to the slow radiator leak. They build these Honda Odysseys like tanks. In the front seat, we barely felt the impact, and the damage did not extend behind the radiator and hood. The kids barely realized anything had happened. I’m amazed that the van continued to run, and didn’t drive or handle any differently after impact. We did eventually need the van towed, but we were able to go pretty far before we got to that point. Our rental…I could get used to this! It could have been far worse, and I’m grateful God protected us. The deer didn’t fly up and destroy the rest of the hood or smash the windshield, or go down under the vehicle and damage the axles, suspension, and wheels. Additionally, Geico has taken very good care of us. The assessor came out and checked the vehicle; it will be towed to a body shop on Monday and repaired. We were given a check with enough money to replace all three kid’s seats. And Geico paid for a rental vehicle for us until the van is repaired (silver lining; the only vehicle available for us to rent was a Dodge Ram 1500, so I’m rolling around in a huge truck currently. I feel so manly). So, the moral of the story: God is good, deer are not, Honda Odysseys are worth the money, and Geico came through in a big way. Deer hair stuck in the grill. The steam is the result of the broken/leaking radiator. I’m not scared, or sad. We believe in the power of Christian camp to transform lives, and to present the Gospel in powerful ways to kids. In fact, I’ve been on your side of this exchange many times. I was a camp counselor throughout college and even in the years after at various camps. However, It’s new for me to be on the other side of this transaction. I want you to know how thankful I am for you. Being a camp counselor isn’t easy, and it doesn’t pay well. I know how much you gave up to spend the summer at camp. I imagine that spending time at the swimming pool, without having to care for kids, or that spending time with your friends seems like a pretty good deal right now. I also know that you could have chosen any one of dozens of summer jobs which would pay much better. So I’m so grateful that you decided that being an influence on young lives, and showing the love of Christ to children is more important than your own comfort or financial success. I want you to know that I pray for you. The first reason is the obvious; you have a difficult job, and I honestly believe you are doing the work of God. The second is less obvious. You see, this boy I’m dropping off and entrusting to your care on Sunday is precious to me. I care deeply about him, both his physical self but also his emotional and spiritual wellbeing. I wonder if you know the power and influence over young lives and minds that you have? I remember when I was young, maybe 12 or 13, my dad told me that one of his biggest fears was that one night at camp after a long day when everyone was tired and emotionally vulnerable, a camp counselor would open his Bible and with the best of intentions, “really mess you up” with a poorly thought-out interpretation of scripture. At the time, this statement was confusing; today, as a parent, his thought is terrifyingly clear to me. I have seen camp counselors, young, earnest, and yet terrifyingly naïve, misuse scripture with the best of intentions. Their young charges, unable to think critically enough to parse what they were told, lapped it up eagerly. Additionally, something that was told to me as a young camp counselor remains burned in my brain. My camp director told us that the average Sunday School teacher gets one hour per week, for a total of around 52 hours per year with most church-going children. On the other hand, as a camp counselor you spend 24 hours per day, for a full week with each camper. At this point, my camp director invited us to consider who had more influence. And you know, he’s right. I remember very little about my childhood Sunday school teachers. I remember my camp counselors in vivid detail. I remember their friendship, and how cool they seemed. I remember how much I wanted to be like them. I remember the lessons they taught. So when I say I pray for you, I pray that you will not underestimate your influence. I pray that you will be guided by older Christians and by the clear Word of God. I pray that you will realize and remember that your influence and your responsibility is not in proportion to your weekly pay, and that you will take your duties and your influence seriously. I pray that you will reflect the love that Christ first showed us to my child. And I thank you in advance for loving my child so much, even though you did not know him, that you decided to give up your summer and what you may have earned working higher-paying jobs to spend your summer chasing crowds of children in the heat and the bugs. Blessings, peace, prayers…and have a great summer. It’s Been Awhile; Time for an Update! The Zooklets! Eli, Ellie, and Ezra. Dear friends, it’s been awhile since I dusted off this blog, and put a few words on a page. Suffice to say, we’ve been busy. I’m going to attempt to bring you up to date a bit here, and I’m also going to make it goal to write more in the next year. When last we spoke, it was May 2016 and we were still living in Richmond. 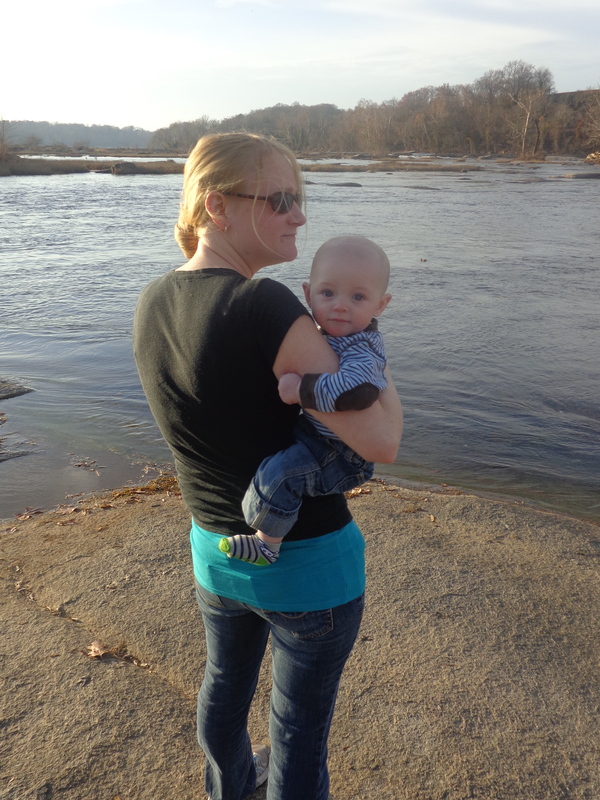 I’m happy to say that we’ve since moved out of Richmond, and moved back to the Shenandoah Valley. We currently live in a little town called Broadway, which is about 10 miles north of Harrisonburg. It’s a little town of 2,300 souls, with more cows and turkeys surrounding the town than actual people. It’s a great change of pace after living on Church Hill in Richmond. Perhaps you remember that a little over five years ago, Mel and I set off for Richmond because I had been hired as an EMT. This past June, I decided to pursue some different opportunities, and decided to see if I could support the family without being employed full-time by one employer. So far, I’ve been successful. I call myself “The Roving Paramedic-Educator.” Basically, I spend about half of any given month on an ambulance as a paramedic. The other half of my month is spent teaching. The goal is to get back into guiding climbing trips in a more meaningful way in the next several years. Teaching what, you ask? After several years of resume building, I was given the opportunity this fall by NOLS Wilderness Medicine, based in Lander WY, and Landmark Learning, based in Sylva NC, to become a wilderness medicine instructor. I spent two weeks in western NC in October teaching an EMT course; I then spent 12 intense but rewarding days at the Wyss Wilderness Medicine Campus in Lander, Wyoming this past November. During the Instructor Training Course (ITC), I was surrounded by incredible people, both in my prospective instructor cohort and in the NOLS/LL instructors running the course. Since the end of my ITC, I’ve taught two WFR courses, one in the deep December cold of Sylva, NC and a second in the balmy, alligator-infested sub-tropical paradise (?) that is Apopka, Florida. Litter team practice in Lander. A petroglyph near the Wyss Wilderness Medicine Campus. Don’t worry, it’s just makeup! On the personal front, I believe the last time we spoke we had two kids, Eli and Ezra. Surprise, we added a third; a girl named Elizabeth Rose, born in September 2016. We call her Ellie. She’s added quite the dimension to our little family, and is more than a match for her brothers. The three of them have adjusted well to the valley, and particularly enjoy being closer to grandparents! Ezzy and Mel explore rocks! These boys have developed an…interesting…sense of humor. Moss and live oaks; This was Florida in January. Mel continues to be a fantastic mom for our kids! As a personal growth challenge, I’m teaching myself to fly fish. I’m still not sure how waving this rod above my head will attract fish, but it’s fairly relaxing. So, take this post as my commitment to you to be better at blogging and writing. If you’re curious, take a moment and check out my more professional blog The Mountain Medic! Outdoor adventures were a big part of my childhood. My parents were taking me on hikes as a very young child. My dad keeps a photo of him and I in his office; I’m all of a few months old, asleep in a child pack on his back. I’ve attempted to give the same types of experiences to my children. 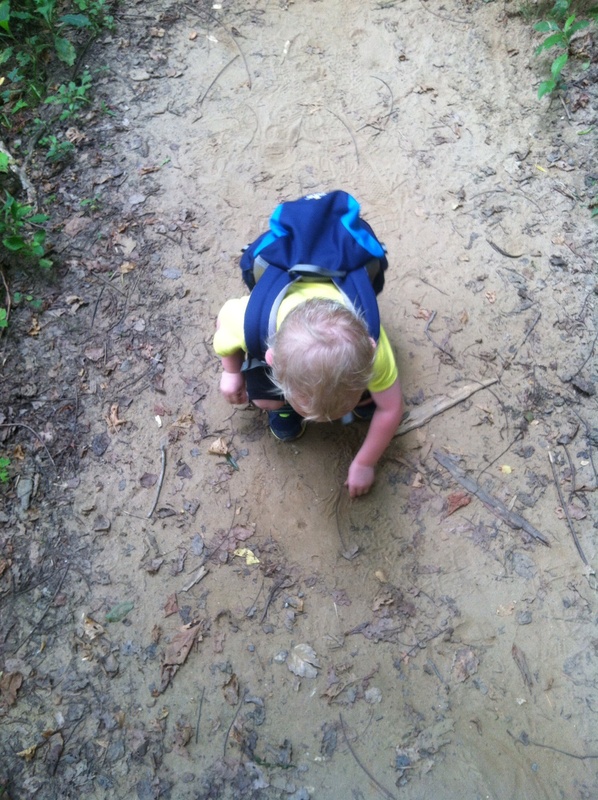 Eli has turned into quite the little hiker/adventurer, and we have every hope that Ezra will as well. I’ve had a few folks over the past several years ask how best to get their families engaged with the outdoors. So, I’ve decided to put together my suggestions into a blog post. Take them with a grain of salt, as they are by no means definitive, but I hope the reader can find them useful. 2. Just get them outside, and go as a family! The actual place is not as important as just being outside. Richmond, where we live, is hours from the mountains. However, as a family we have excellent outdoor adventures without even driving beyond the city limits by utilizing the city park system. Most areas have fairly easy access to outdoor recreation areas with trails and woods/nature to explore, even if they do not have national or state parks and forests. When you go, go as a family! Make this a family adventure. Its more meaningful that way, and more likely that the kids will have fun. Plus, its good for you and your significant other too. Take lots of pictures. Take in a ranger or a naturalist program as a family, or let your kids do the Jr. Ranger program, if you find yourself in a national park. 3. Control your goal-oriented mindset. This is perhaps the most important thing to think about when taking kids into the outdoors. As adults, we tend to be goal oriented. 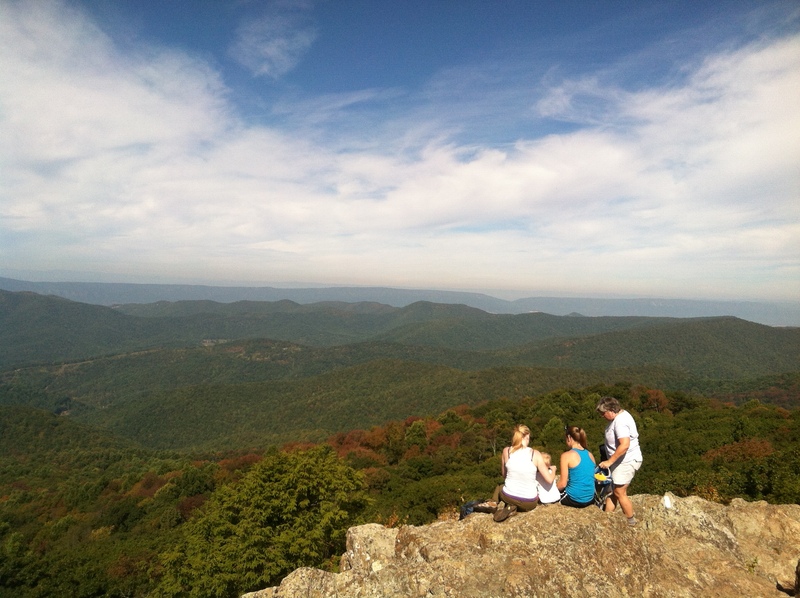 When we think about hiking, we think about it as a means to an end. In other words, we focus on hiking a certain number of miles, climbing a certain amount of elevation, or reaching a certain point or peak. In other words, we set a goal, and if we don’t attain the goal we generally view the hike as a failure. Kids are very different. Kids are generally not goal oriented to the same extent as adults, and tend to be more interested in what is going around them “right now.” For kids, the joy is in the journey, and in exploring their surroundings as they discover them. For a kid, a successful hike is one in which they had the most fun possible. Practically speaking, this means that you may go hiking with your toddler and only cover 400 yards in an hour, because the toddler is spending so much time looking under rocks, playing in the dirt, exploring hollow trees, and watching squirrels. And this is OK! The hike is for them! As you plan family hikes with young children, don’t feel the need to shoot for significant objectives like peaks, mileage, or altitude. Save hiking to objectives for your own hikes, and remember you’ll have plenty of time when your kid(s) get older to take them on hikes like this. With young children, shoot for quality time outdoors, and leave the goal-oriented mindset at home. 4. Encourage exploration and getting dirty. This is a sort of “part B” to the last post. 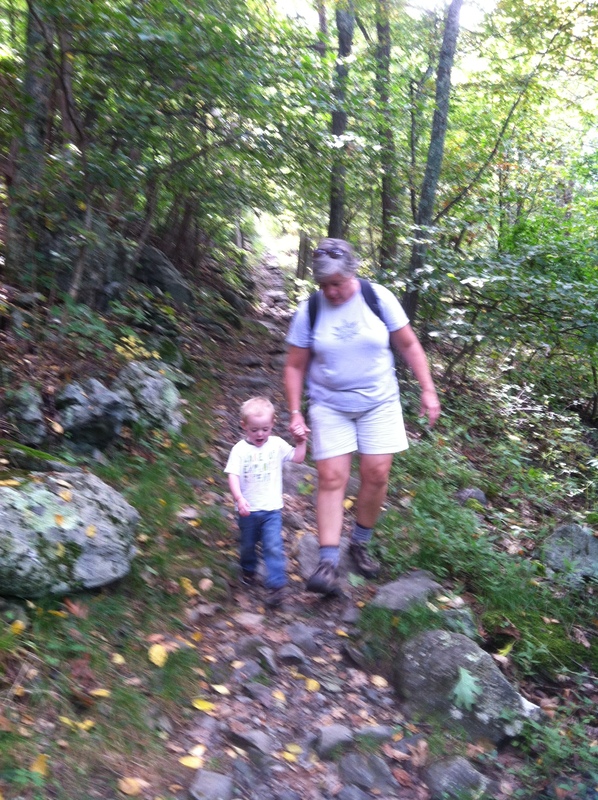 Encourage your little hikers to explore the world around them. Look under rocks, check out the hollow tree, look at the different shapes that leaves come in, watch animals. I spent hours trying to catch tadpoles, minnows, and salamanders in streams as a child, and it led to a life-long interest in nature and science. It’s incredible for me to watch Eli as he crouches down and investigates beetles along the trail. I don’t take him on hikes just to watch bugs, but right then he’s have a great time and that’s really what we’re out there for. 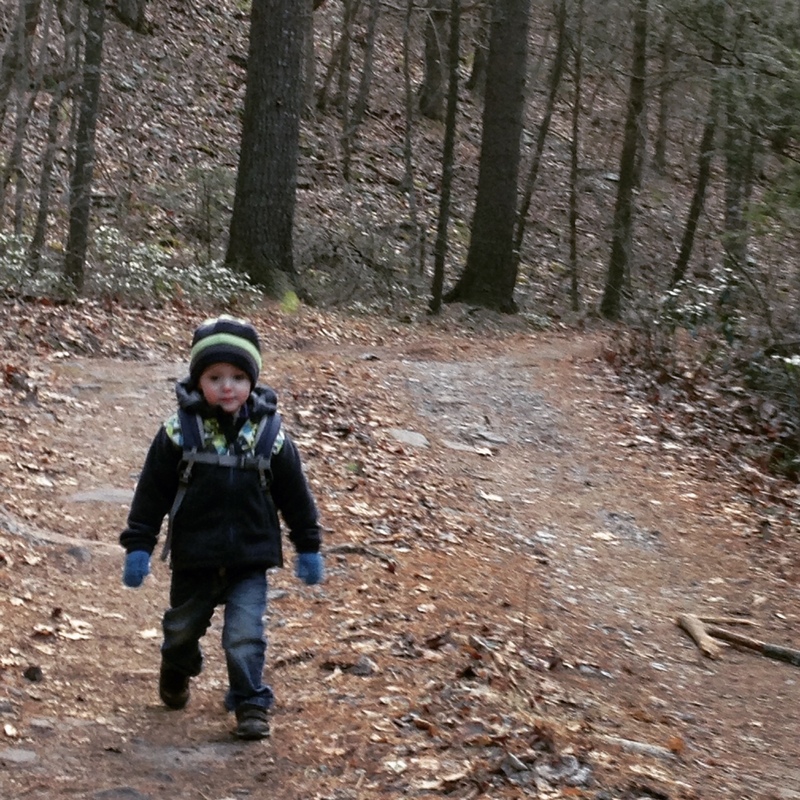 Cold weather hikes take a little more preparation to ensure that little hikers have a good time. 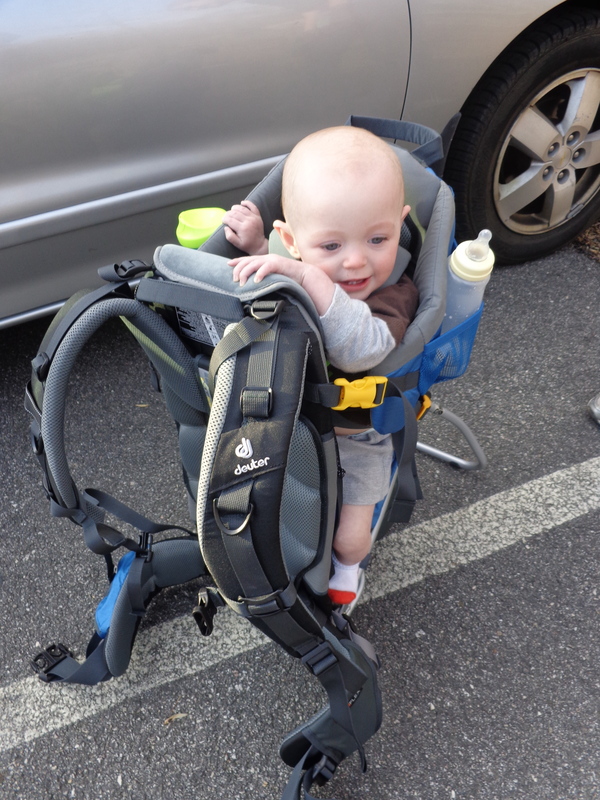 If it is safe to do so, allow your little hiker some independence. I often allow Eli to explore without being directly behind or with him. I choose the areas in which I allow him to explore very carefully, I keep him in sight, and am always ready to intervene, of course. However, I want him to feel comfortable enough in the outdoors that he does not feel the need for me to be guiding his every move. Additionally, don’t stress over dirty clothing and hands; this is not a time to worry about the kid messing up his new shoes. Exploration can be messy. When I was a child, I could not explore a creek without stepping in it eventually. 5. Make your hikes kid friendly. I wrote earlier about how you should check goal-oriented thinking at the door when hiking with kids. This does not mean, however, that you can’t choose where you are going based on what it offers your children. 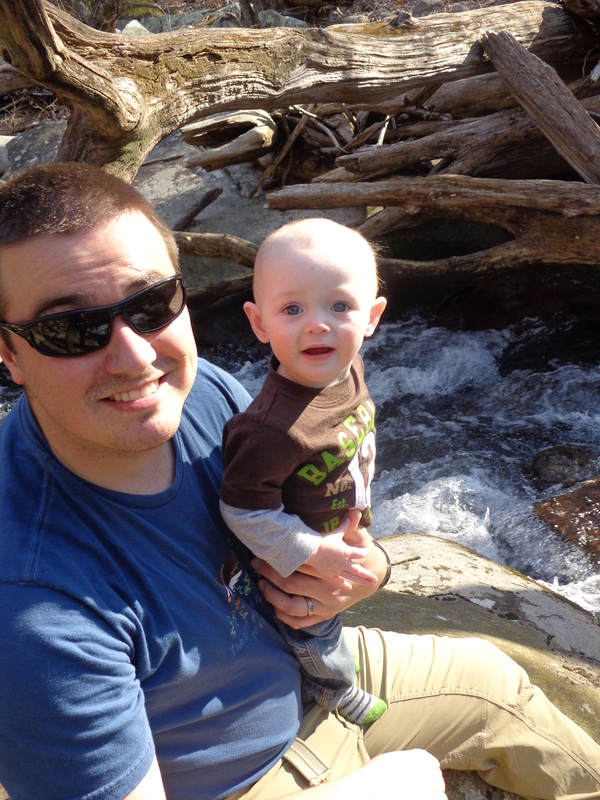 Eli loves the water, so we frequently include some time to play in water as part of our hiking trips. This offers several advantages; first, it’s a fun experience that can be looked forward to and adds a great deal to the hiking trip. Second, it allows us to stop walking, drop our packs, and create a place we can use as a “base camp” as we play in the water and explore the surrounding area. Finally, it also gives us a chance to wash any poison ivy oils off which we may have gotten involved in. In colder weather, my dad used to include a stop for hot chocolate at some point in the hike. We would stop, make a “base,” my dad would boil water on a camp stove, and we’d drink instant hot chocolate. This served the same purposes as swimming. Additionally, on cold days it allowed us to hydrate and consume some calories, both of which are helped keep us warm. Other ideas include taking some snacks along, stopping for a picnic at some point, or (if the area allows it) making a campfire and roasting marshmallows. 6. Give them ownership and responsibilities. Allowing little hikers some responsibility, and some ownership of the experience, is important. It makes kids really buy in to the experience. As a young child, my dad made me my own backpack so that I could carry my own equipment. We gave Eli his own backpack when he started walking. We also let Eli carry his own water bottle (a fairly small one) and his own flashlight. Not only does the water bottle encourage hydration (very important) and the flashlight make the dark woods a lot less scary (also important), but they give him some responsibility and make him feel like he is an important parts of the hike rather than just along for the ride. I also like giving Eli the responsibility of leading the way on the trail. The Deuter Kid Comfort in action. 8. Do your research. In the age of the Internet, there is no reason to go hiking blind. Research the area you intend to go hiking in. What’s the weather supposed to be like this time of year? How hot or cold will it be? Where is there gas, food, or other necessary items? Personally, I prefer books and paper to the internet. The Falcon Guides are a great series; you can find one about most national parks. I also like looking at the topo map of the area before I go, just to get an idea of what the lay of the land is. 9. Prepare for the inevitable scrapes, bruises, and cuts. It will happen. There is no way it can’t. We’re talking about kids, remember? They will fall, they will jump for rocks and miss, they will hit each other with sticks, and they will be stung/bit by insects. Make sure you’re ready for it. Buy a small first aid kit, or assemble it yourself. Make sure you have any necessary prescribed or over-the-counter meds you may need. Is little Johnny allergic to bee stings? Then you should take his epi-pen. Additionally, make sure you have the knowledge and training to use the first aid kit. A wilderness first aid course is geared for outdoor enthusiasts rather than hard-core medical personnel, lasts two days, and is usually about $150. I believe everyone that spends time in the outdoors should take one; I took WFA for the first time as an 18-year-old, and the increase in confidence I felt on completing it was significant. I felt like I could handle almost anything that was thrown at me. 10. Finally, shoes. Young kids generally don’t need dedicated hiking boots. For hiking, a good pair of sneakers with a closed toe and heel are sufficient. Hinge boots really become useful when the amount of weight being carried increases, and additional foot and ankle support become important. For swimming in non-domesticated water (that is to say, anything that isn’t a swimming pool), I recommend wearing either water shoes or sandals with a heel strap. In our family, we wear sandals (not flip-flops, as they easily float off) overtime we swim in water other than swimming pools. This is to protect our feet against sharp rocks, sticks, glass, and fishing hooks which may be lurking at the bottom. If you have any questions or additions, feel free to let me know. 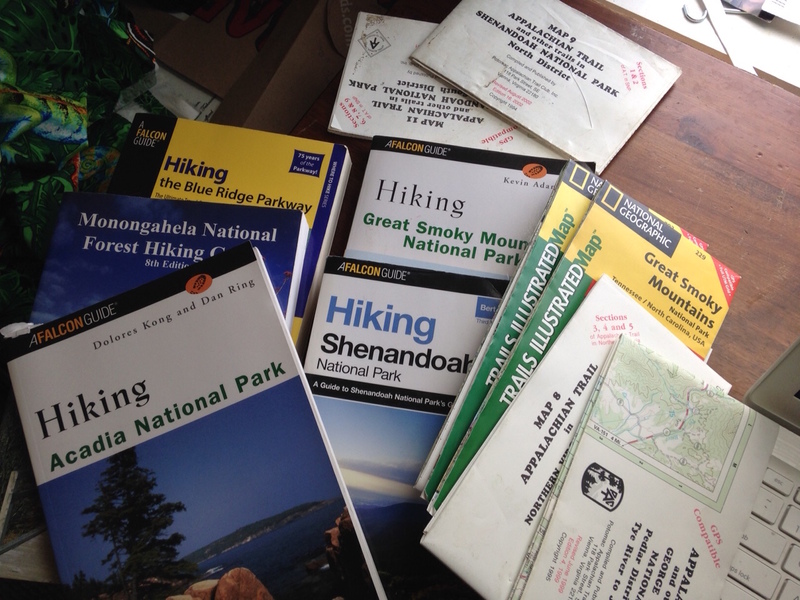 Good luck, and happy hiking!